Top/Bluzka: Here, Denim Button Down/Dzinsowa Koszula: Zara, Shorts/Szorty: Topshop, Plaid Button Down/Koszula w krate: Hollister, Hat/Kapelusz: BCBG. A day of walking ahead? No problem! You can still look cute while walking a lot! I grabbed my favorite Romwe tank top that you could find clicking here, my denim Zara button down, my faux leather Topshop shorts, and my black converse for today. I also added some minor accessories to the outfit to add some color. I wore my cute mint bow bracelets, a BCBG mint hat from my hat collection, a backpack I bought at a sample sale to carry my personal items, and a Hollister button down that I tied around my hips and that also matched my accessories. Dlugi spacer przed wami? Nie ma problemu! Mozesz wygladac swietnie nawet podczas dlugiego spaceru! Ja zalozylam moja ulubiona bluzke z Romwe, koszula dzinsowa z Zara, szorty skorzane z skaju i moje converse. Do tego dodalam male dodatki aby dodac troche koloru do stylizacji. Ubralam dwie mietowe branzoletki, mietowy kapelusz z BCBG z mojej kolekcji, czarny plecak idealny do tej stylizacji i koszule z Holister ktora zwiazalam na biodra. Beautiful pictures! 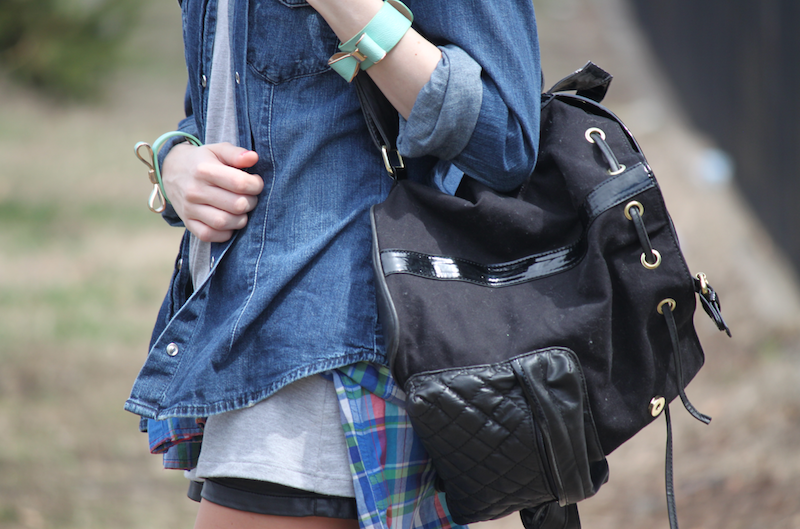 These look like they should be in a magazine :) Love this outfit...especially your backpack. ta jeansowa koszula wygląda rewelacyjnie ! Kapelusz i bransoletka są super ! Fajna koszula dżinsowa ! 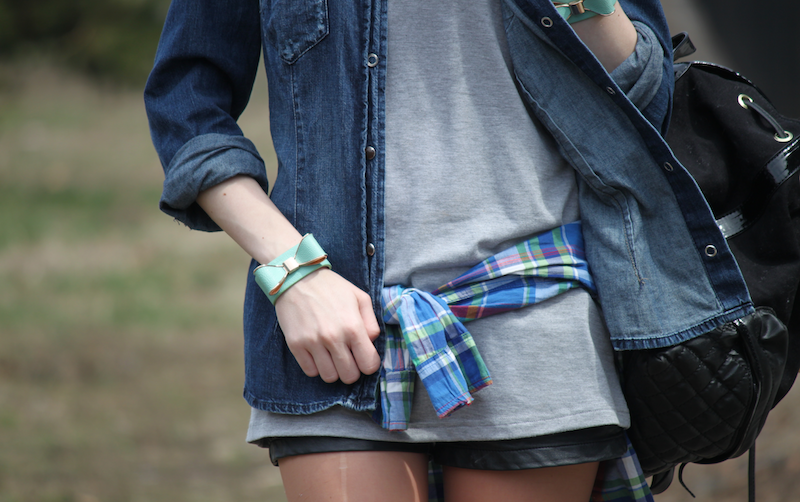 Denim and mint, just perfect! I love mint <3 and you show it simply great! Cute hat! Happy Easter Urszula, I hope you have a great break.